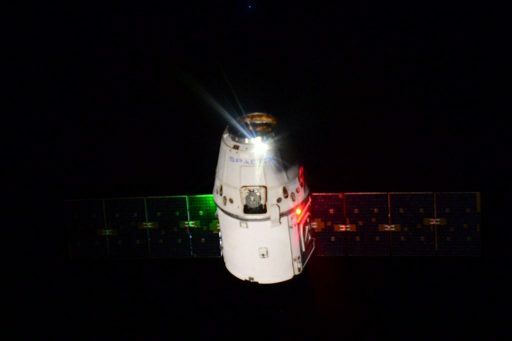 The Dragon SpX-10 cargo spacecraft aborted its rendezvous with the International Space Station on Wednesday after encountering a problem with the Relative GPS navigation feature used by the approaching craft during the far-field rendezvous phase. 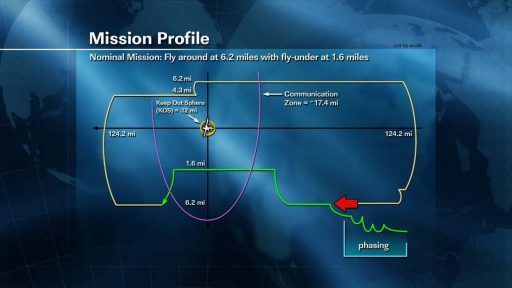 Mission Controllers are planning to re-attempt the rendezvous on Thursday if the problem can be diagnosed in time. 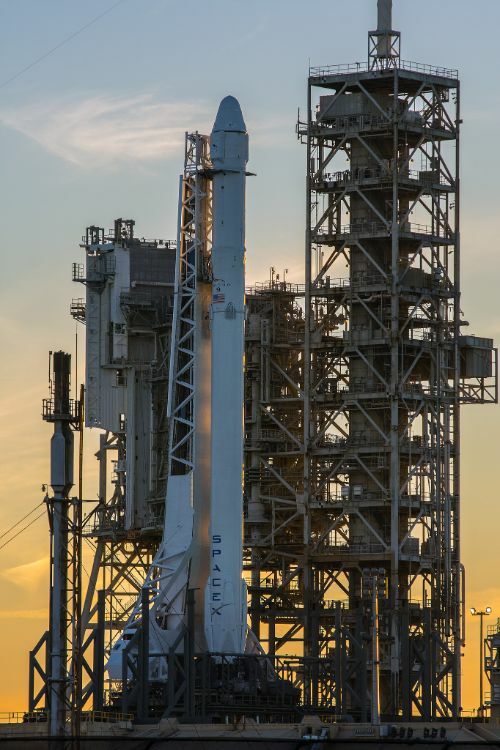 Dragon enjoyed a smooth trip from its Sunday liftoff atop a Falcon 9 rocket up until the point of Approach Initiation on Wednesday. 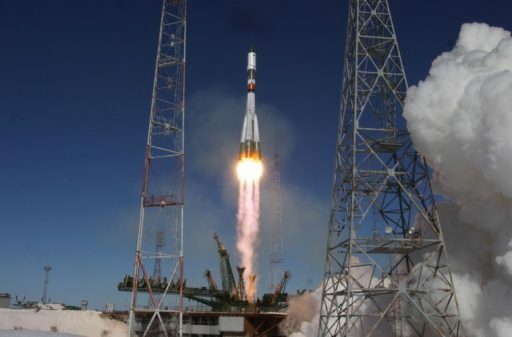 The craft underwent a series of checkouts in the hours after its 14:39 UTC launch on Sunday and remained in its initial 204 by 358-Kilometer orbit until Tuesday morning when a circularization maneuver was performed prior to another pair of Draco engine burns that positioned the spacecraft in an orbit ten Kilometers below the Station’s 399 by 408-Kilometer orbit. Another Height-Adjust/Coelliptic Burn Pair placed the Dragon into an orbit 2.5km below that of ISS and the craft continued catching up from behind as per the standard rendezvous procedure. 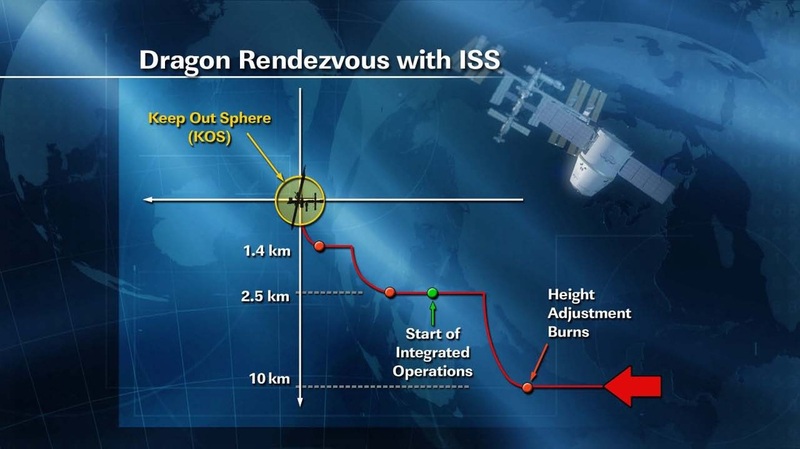 The spacecraft passed into the Station’s 28-Kilometer communications zone at around 6:15 UTC, allowing a space-to-space data link to be established for the exchange of GPS data between ISS and Dragon to enter the Relative GPS Phase of the Rendezvous that takes Dragon to a point directly below the Space Station. The HA/CE-3 burn pair placed Dragon 1,200 meters below the Space Station, still closing in from behind and heading toward its Approach Initiation point from where the spacecraft would have transitioned to a straight-up approach to its capture point. However, at 8:25 UTC, Dragon automatically aborted its rendezvous after encountering a problem with its Relative GPS system. Relative GPS provides a more accurate method of determining the geometry between an approaching spacecraft and the Space Station by comparing GPS data from the chaser and its target, using a common set of GPS satellites. On Dragon, Relative GPS kicks in when the spacecraft is still over 20 Kilometers from the Space Station and is used as the primary rendezvous navigation source until the vehicle switches to its Proximity Navigation System after acquiring a position directly below the Station. 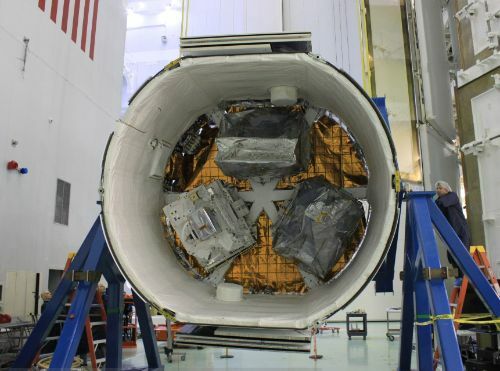 On Wednesday, Dragon encountered a fault within a filter in its GPS System, in charge of processing the Relative GPS data collected by the spacecraft itself and transmitted by ISS through the UHF communications link. 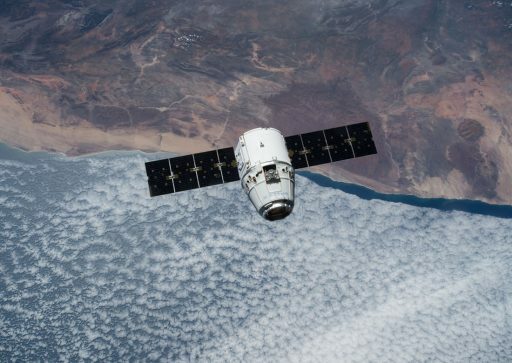 SpaceX engineers in Hawthorne, California immediately started the process of diagnosing the issue with the initial suspicion that Dragon’s computers were provided an incorrect ISS state vector that did not converge with the GPS data Dragon received. When the abort was triggered, Dragon was still 1,200 meters below and around four Kilometers behind the Station, allowing a passive abort to be conducted with Dragon suppressing its approach initiation and flying underneath ISS to pull out in front. Per the usual procedure, spacecraft navigators will initially re-plan for a 24-hour delay, using a racetrack pattern to move Dragon back into position for another attempt at rendezvous. After clearing ISS, Dragon will fire its engines to maneuver into a higher orbit than ISS so that the Station can pass underneath. Once well behind the Station, Dragon will execute a retrograde braking burn to either enter an orbital parking spot or initiate a new rendezvous if Mission Controllers in Houston and Hawthorne decide to commit to Thursday’s attempt. 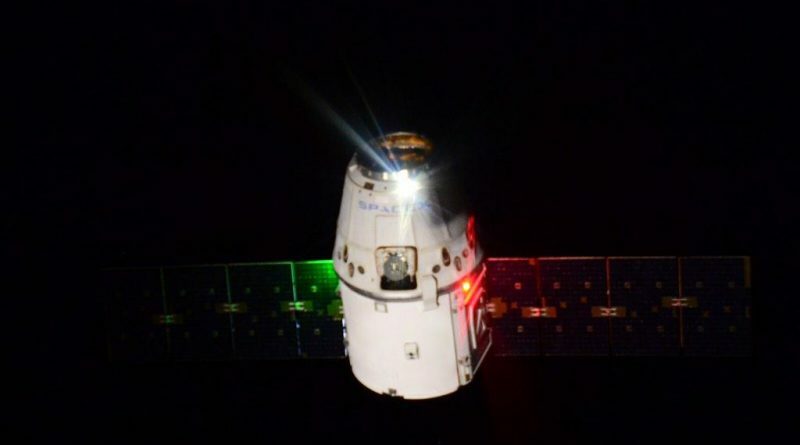 An extended free flight, should it be necessary, poses no issue for the Dragon spacecraft that carries plenty of propellant to maintain operations in orbit for several weeks. However, there are some constraints associated with a number of time-critical payloads aboard the Dragon including a group of 20 mice, stem cell samples and other cell cultures that would prefer to get to the controlled environment on ISS as soon as possible. In case the problem can not be solved for a rendezvous attempt on Thursday, Dragon would have to steer clear of the Space Station and enter a holding position at a safe distance to give the right of way to a Russian Progress spacecraft that launched Wednesday morning, hours before Dragon’s expected arrival on ISS. Progress MS-05 had a smooth climb into orbit atop the final Soyuz U rocket and will raise its orbit later on Wednesday ahead of a fully automated rendezvous on Friday for docking to the Station’s Pirs module, marking the return to flight mission of the Progress after a launch failure in December. Progress and Dragon each carry approximately two and a half metric tons of cargo to the Space Station with Progress loaded with food, fuel and supplies while Dragon’s cargo is more focused on science and utilization hardware, delivering dozens of experiments to ISS. 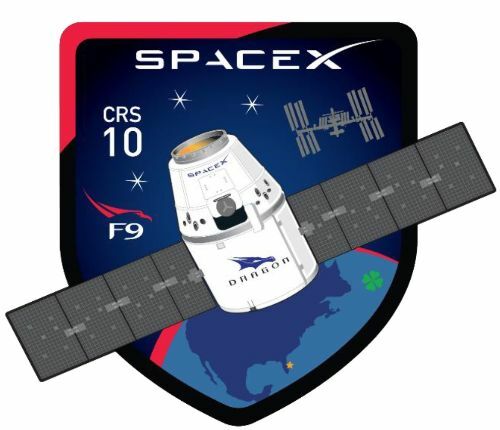 Dragon SpX-10 is largely dedicated to ferrying science equipment to the Space Station that is set for a busy summer with 300 individual studies planned over the next six months. Science hardware accounts for 732 Kilograms of Dragon’s cargo, nearly half of this mission’s pressurized cargo upmass of 1,530 Kilograms. The rest is comprised of the typical mix of ISS maintenance hardware (381kg), crew supplies including food (296kg) and EVA, computer and Russian hardware (43kg). The two external payloads, SAGE III and STP-H5, weigh in at 960 Kilograms and will be installed on the Space Station’s truss by Canadarm2 and the Dextre robot during Dragon’s stay.